Disney’s Hollywood Studios have been as much a construction site as a theme park the past several years. Once Star Wars: Galaxy’s Edge opens in 2019, all the cranes, workers and noise will move north to Epcot — and potentially be even more disruptive to your Disney experience. 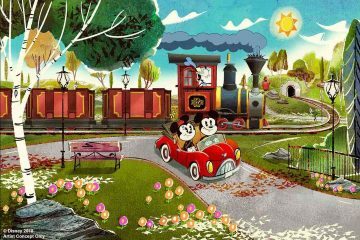 The re-imagining of Walt Disney World’s second park isn’t a secret. 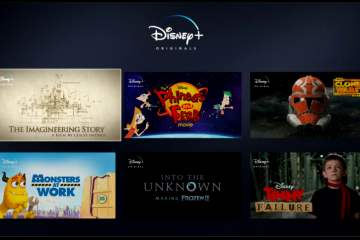 Disney announced several big changes for the park at last year’s D23 Expo, including a new “Guardians of the Galaxy” roller coaster replacing Universe of Energy, importing a ride based off “Ratatouille” from Disneyland Paris and adding a new restaurant made to look like guests are dining in outer space. Construction on the two new rides has already begun, but recently filed permits indicate there’s a lot more to come. These kinds of filings put the Walt Disney World rumor mill into overdrive. For example, WDW News Today reported the permits related to a rumored new resort to be built entrance of Epcot’s Future World. That was quickly questioned by a message board moderator at WDW Magic who claimed the permits were likely for small kiosks for Epcot’s Food and Wine Festival. 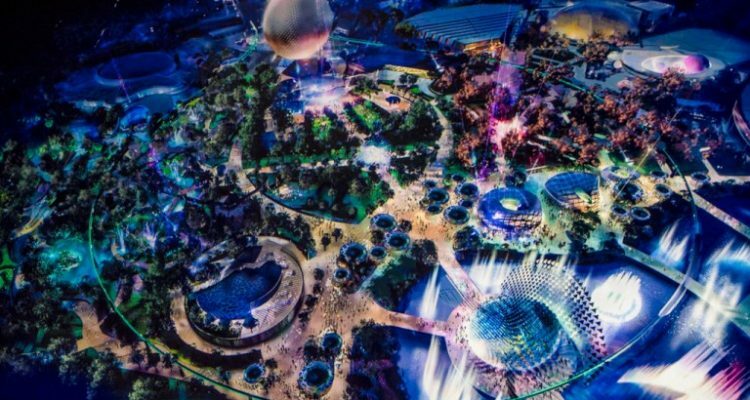 Some theme park rumors may end up being true, but more often they’re based on educated guesses or a fan’s wishful thinking than a leak from within Disney. From what’s has already announced, however, it’s clear Epcot’s identity will be quite different in only a few years. 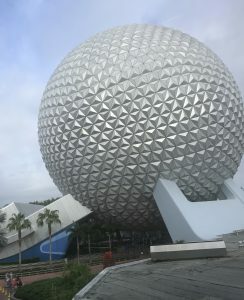 Opened as a Mickey Mouse-free, “edutainment”-focused park in 1982, Epcot has slowly been pushed away from its original vision in the name of offering something more enticing for kids and families. In the 1990s, that meant ditching lengthy dark rides like Horizons and World of Motion for shorter thrill rides like Mission: Space and Test Track. In more recent years, “Finding Nemo” characters were added to the Seas pavilion, and the Norway pavilion’s Maelstrom was replaced with Frozen Ever After — a ride and movie which doesn’t take place in Norway. The park was once enough of an educational experience that local schools could justify taking students there on field trips. Now it’s inching closer and closer to offering attractions indistinguishable from those in the Magic Kingdom. Bill Zanetti, a founding member of the University of Central Florida’s Entertainment Management Advisory Board, said the synergistic opportunities of promoting Disney intellectual property inside their parks are too good to pass up. Within the next five years, Zanetti predicts Epcot will see several additions and upgrades based around established Disney, Pixar and Marvel brands, like a “Coco” overlay of the Gran Fiesta Tour at the Mexico pavilion and some attraction based off “Black Panther” and its fictional country of Wakanda — perhaps even in World Showcase, an extension of how Arendelle of “Frozen” is now featured alongside actual nations. Other projects he expects to come to fruition would fit in more with the old Epcot, like an update to Spaceship Earth (which lost Siemens as its sponsor in 2017) and a new nighttime show to replace Illuminations: Reflections of Earth. Echoing fan-driven rumors, Zanetti also mentioned the possibility of a hotel being built over the entrance to the Epcot. That kind of proximity to the park has never been widely available in Walt Disney World but would mimic the entrance-straddling Disneyland Paris Hotel and the Grand Californian Hotel, which has a private entrance into Disney California Adventure. More countries — real ones, like Brazil — could also be added to World Showcase, as there are several spaces for expansion left over from Epcot’s initial construction. Even if only a few of these speculative projects actually get built, it would make the sight of construction walls and cranes as noticeable as Spaceship Earth to Epcot visitors. Anyone who has been to Disney’s Hollywood Studios since 2014 knows the feeling. To make way for Star Wars: Galaxy’s Edge, Toy Story Land and Mickey and Minnie’s Runaway Railway, the park lost more than a dozen attractions. It currently contains only four rides along with several stage shows. The trend will begin to reverse June 30, when Toy Story Land and its two new attractions open. Epcot covers a larger area than Hollywood Studios and the places where construction has already begun are easily hidden from guests. You can’t see much of the Guardians of the Galaxy coaster site unless you’re airborne. Later phases of Epcot’s face-lift will be much more intrusive. The concept art for Epcot’s re-imagined Future World revealed at the D23 Expo last year showed major changes around this area, including the elimination of the Innoventions buildings near Spaceship Earth and numerous changes in pathways and landscaping around the front of the park. Making matters more complicated is what’s underneath Epcot: sinkholes. 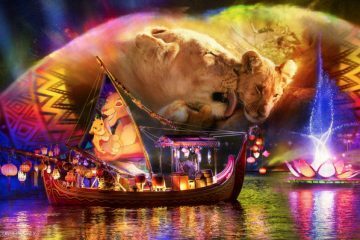 Several were found during the initial construction, the largest one being turned into World Showcase Lagoon, according to the memoir of John Tishman, owner of the construction company which built the park. Another sinkhole was found in the area surrounding the shuttered Odyssey Restaurant. Numerous construction pilings (along with supports for the Disney monorail) were lost during construction as crews tried to hit solid ground to build upon, which were partially to blame for Epcot’s construction costs skyrocketing to $1.2 billion. All this disruption may be necessary to attract visitors. For all the love Epcot’s early years engenders among the Disney faithful, the park has seen bigger boosts in attendance when it moves away from the original concept. 400,000 more guests came through the turnstiles in 2017, the first full year Frozen Ever After was in operation, than in 2015 before the ride opened. In the same year, it was surpassed by Animal Kingdom as the second most-visited Walt Disney World park thanks to the new Pandora: The World of Avatar. 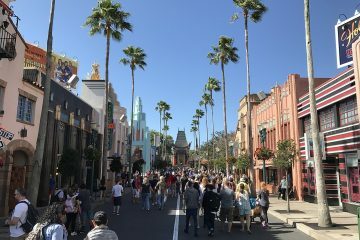 Disney’s Hollywood Studios is sure to see a major boost over 2018 and 2019 as Toy Story Land and Star Wars: Galaxy’s Edge welcome guests. As Zanetti said, these are becoming brand parks. Like it or not, Epcot is moving in that same direction.